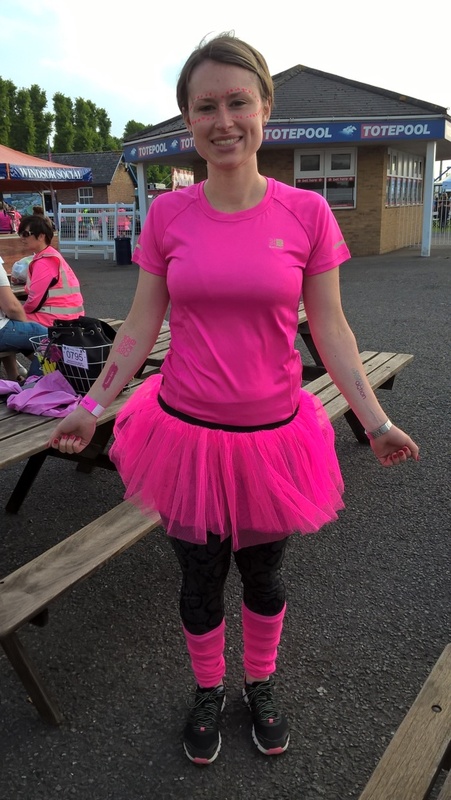 I had done a couple of runs (or in my case jogs and a skip) for charities in the past and fancied a new challenge. 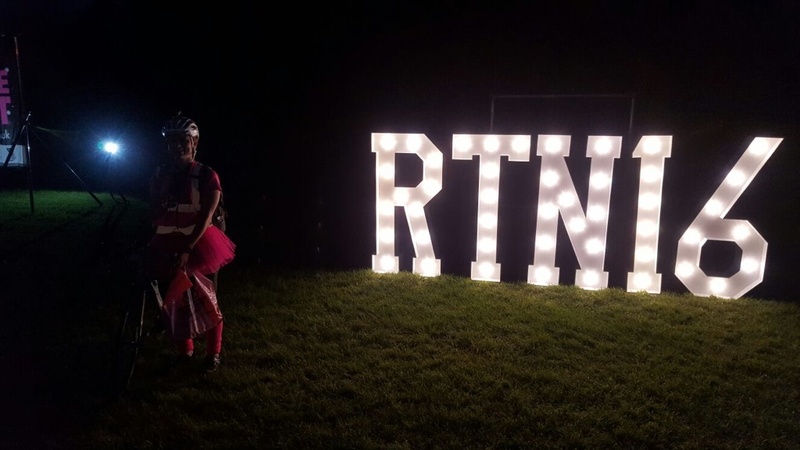 I saw an advert in a magazine for the 100km 'Women Vs Cancer - Ride the night' 2016 and signed up (I would finally get some use out of my road bike). I joined LA Revolution in February 2016 to increase my fitness/ability to ride and the Spinning classes did just that! I entered the event alone, but met a lovely lady on the evening who had done the same and we completed the event together. Everyone was so friendly and still supportive even at 2am. I would definitely recommend the ride and am currently looking for my next one. I continue to attend Spinning classes and have just started the kettle bell circuit class also. 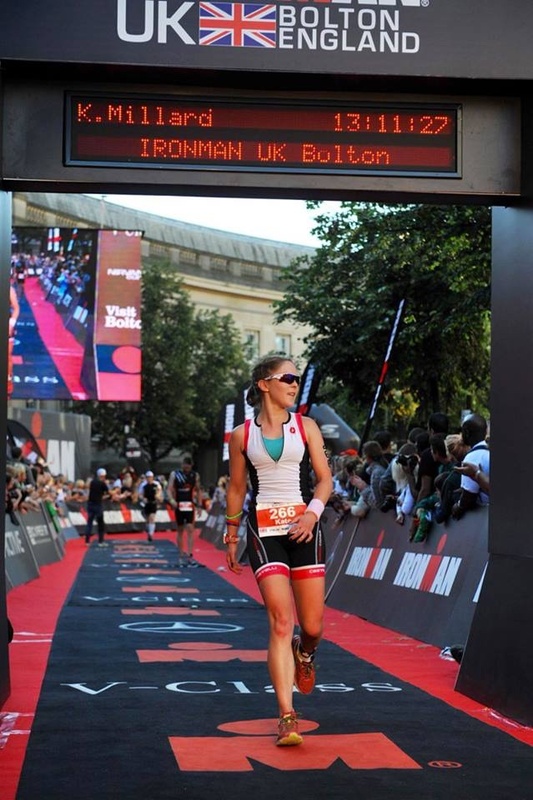 My training definitely paid off and it was all worth it for charities that support something so close to my heart. 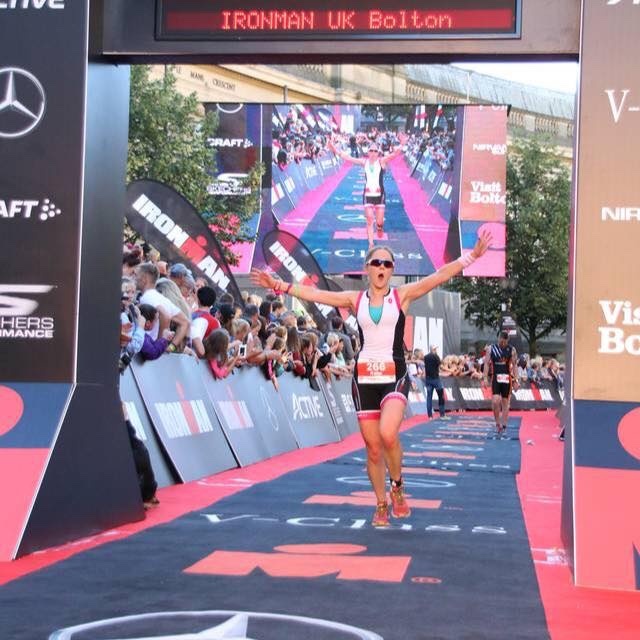 Kate was inspired by Chrissie Wellington (4 x World Ironman Champion) to do an Ironman, and wanted to prove to herself that she could take on such a massive challenge as a boost to her confidence. 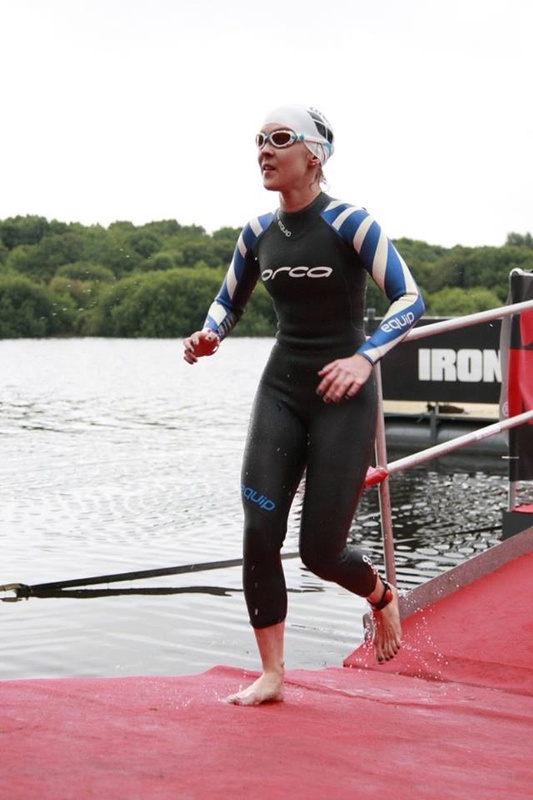 Kate said 'the swim was beautiful, the ride hilly with lovely scenery and there was amazing support along the way'. 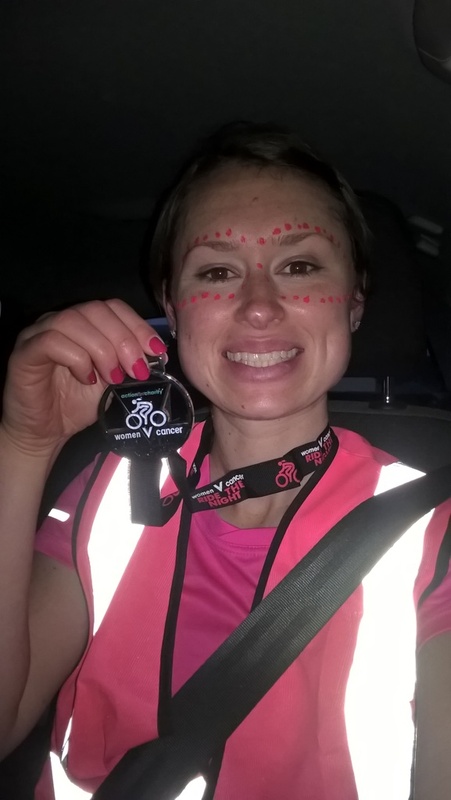 Kate had a plan and kept checking her times throughout the event and was rewarded with a time of 13 hours 11 minutes, well under the 14 hours that she was aiming for. After the event Kate said 'It’s amazing what you can do if you commit to it and work for it. I look at challenges in a new way now'. I am passionate about road cycling and its always been my dream to cycle the same mountain roads as the professionals of the Tour De France or Giro d'Italia. 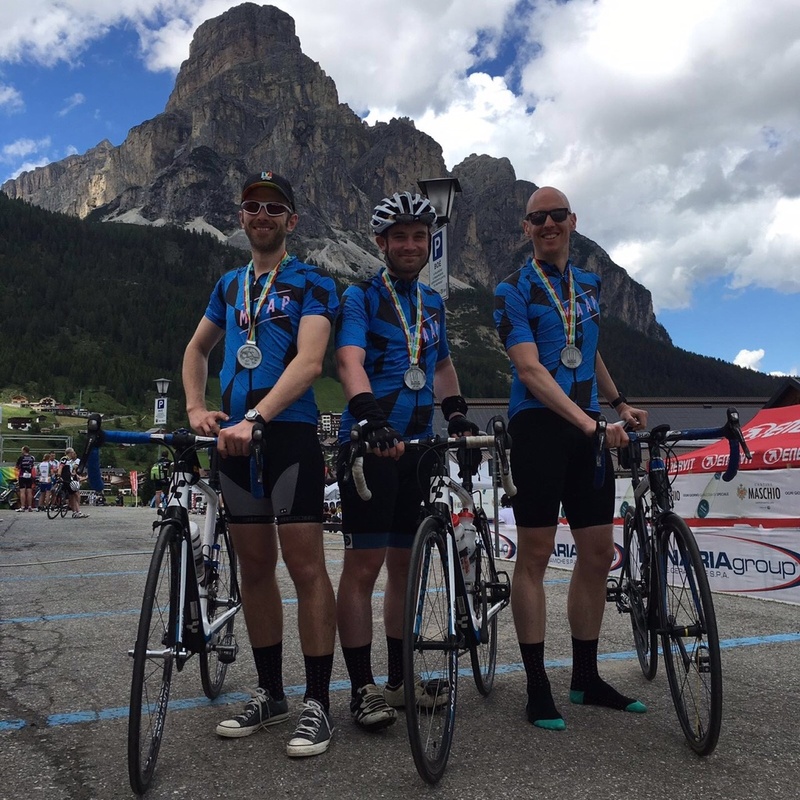 I decided to take on the Maratona which is an organised ride with over 10,000 competitors covering the epic mountains of the Italian Dolomites. 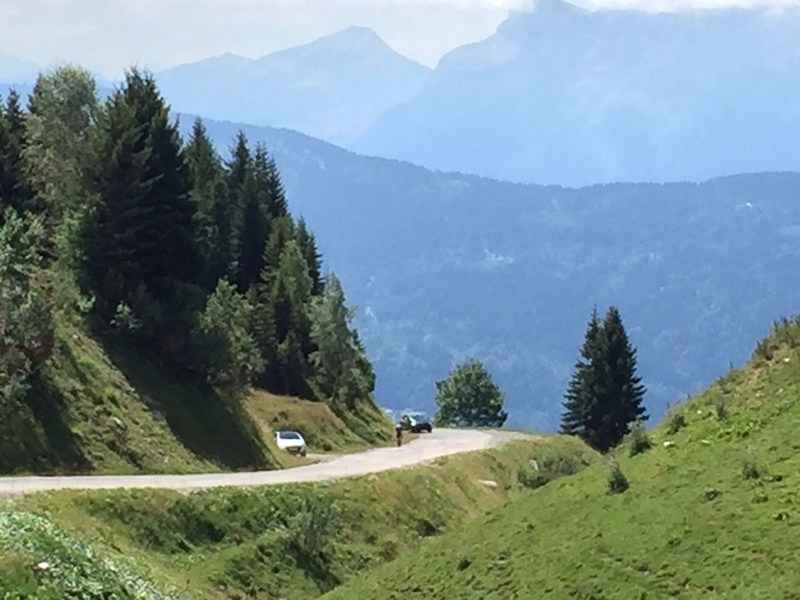 In a single day the ride covers 138km of incredible scenery and very steep climbs! Having not done anything like this before I knew that to complete it I would need to train correctly. 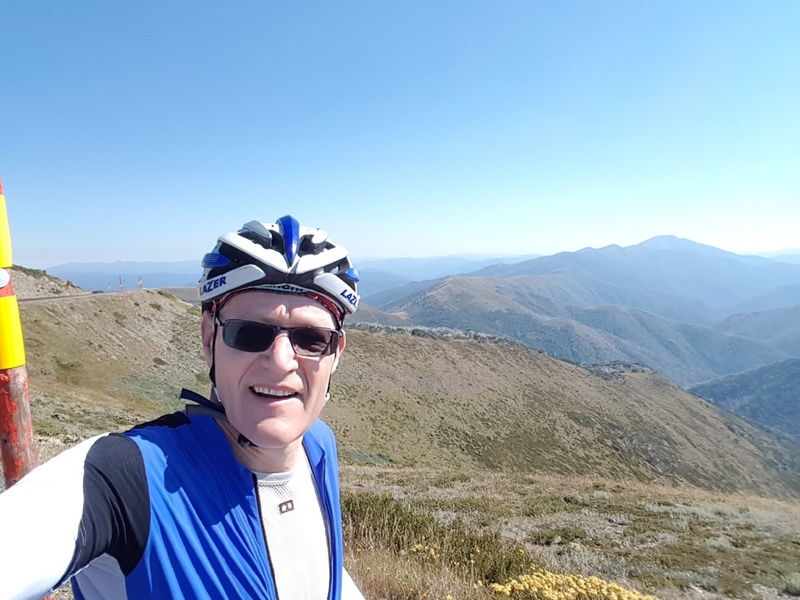 The Spinning classes run by Les and the LA Revolution team were perfect for this as it allowed me to build strength through the Winter and Spring season and even make training enjoyable! I had no idea what to expect in the mountains or how I would feel after the 5th Mountain pass of the day which included gradients of 12%. This was the toughest thing I have done and made harder by the lack of oxygen at higher altitudes. However with the beautiful countryside and the amazing descents after each climb there was much to smile about. It certainly made me more appreciative of the professional cyclists who do this every day. 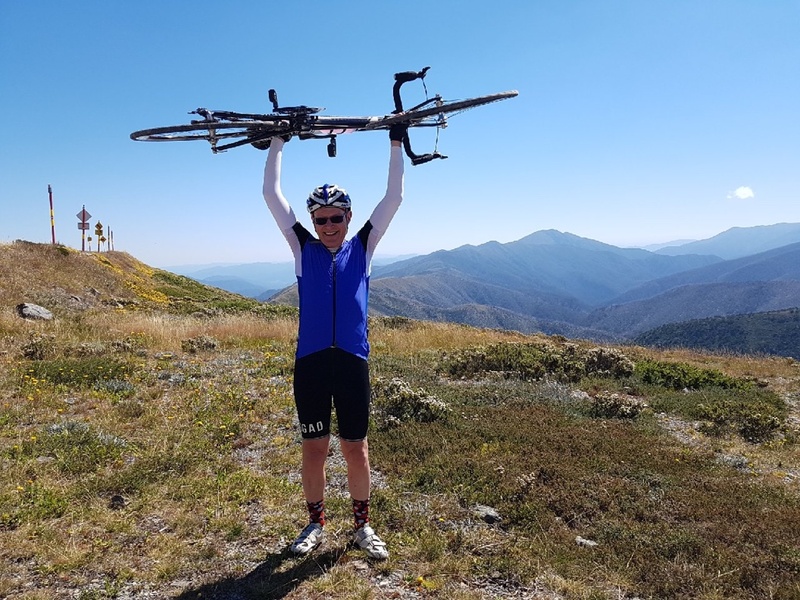 Completing the ride successfully was very rewarding and to some extent a relief to just get round in one piece as I heard of many that suffered mechanical problems or just ran out of energy. Back to the training now though... need another challenge! 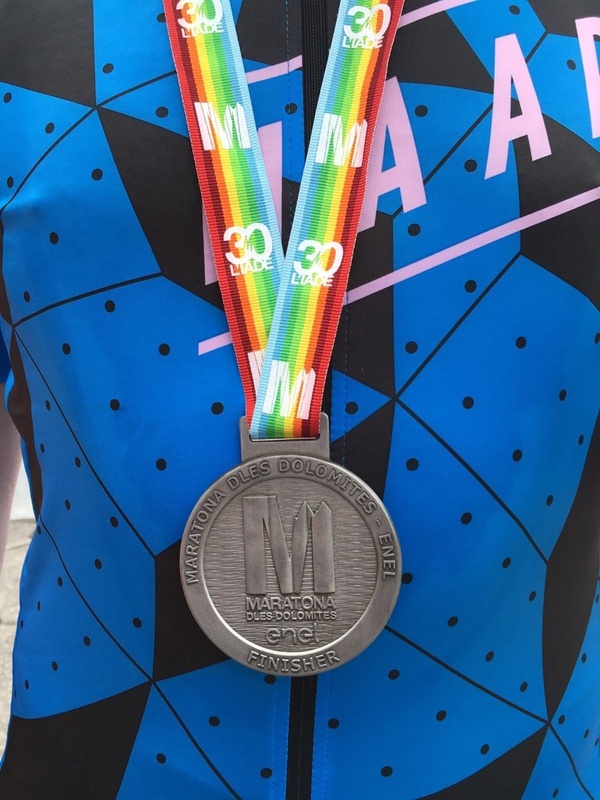 Having not cycled further than 25 miles in recent times it was with some nervousness that I embarked on the 60-mile version of the Sodbury sportive 2016 on 21st August. The ride is well established with over 900 riders this year! 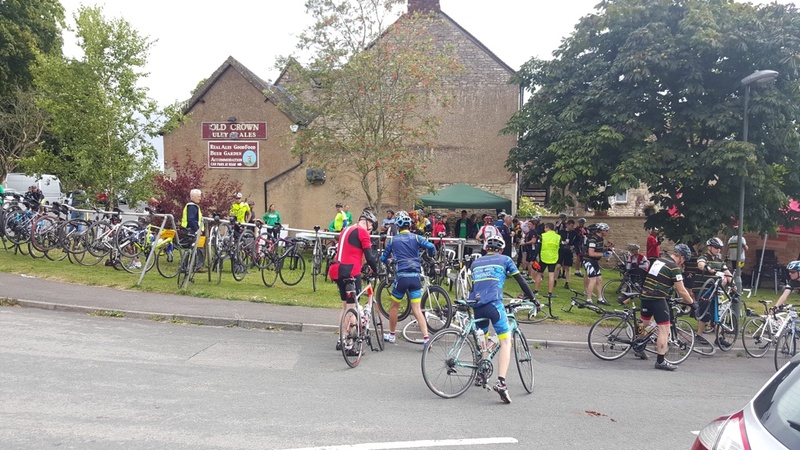 The route started from Chipping Sodbury Rugby Club and headed out over the common and through picturesque lanes to Tetbury. From here we headed across towards Nailsworth and the first food station at Uley before crossing the M5 near Slimbridge and turning South to Berkeley and on to Thornbury and the Alveston for the second feed station. This "just" left the last leg back over the A38, through Iron Acton and back to Chipping Sodbury. The significant hills came mainly in the earlier stages of the ride with maximum gradients of 19/20% for suitably named hills as "Alderley Grunt" and "Tresham Tester"! I managed to get around in under five hours which I was pleased with especially as I'm now classed in the published times as a veteran as in my 50's! The event is organised by the Rotary Club of Chipping Sodbury with all profits going to charity and around £20,000 is normally raised each year. 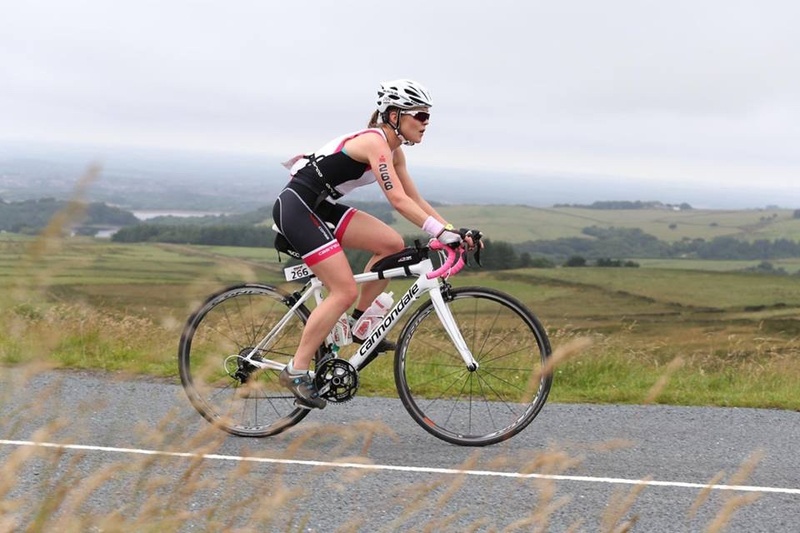 I do know that without the help of the spin classes ran by Les and his team at LA Revolution I would not have been able to get to the level of fitness I needed for this event and I am so grateful to have been benefitting from their expert tuition for many years now! 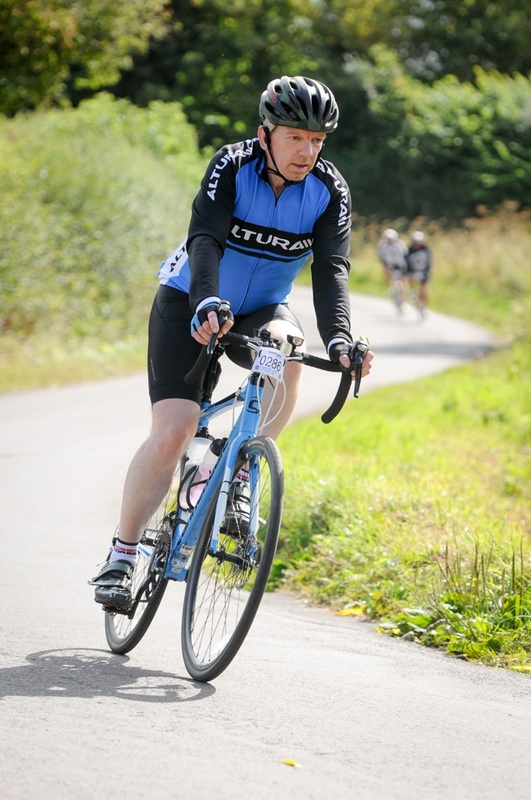 Anyway, next up is the Cotswold Sportive on 25th September starting from Westonbirt School - mere 70 miles! The event is organised by Jole Rider - an educational charity with links to Bikes4Africa so a very worthy cause. 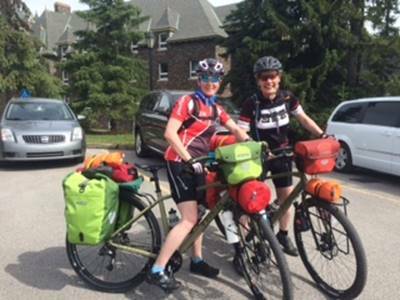 "Shall we cycle the Tour divide?" Libby asked me one day in 2014. So bored had we become of our day to day lives that we thought cycling 2,700 miles off road seemed a good idea. It is the longest off road route starting from Banff in Canada to the New Mexico border, full of perils such as bad weather, isolation, red necks and bears!! Our journey began as most expeditions do with some research. Reading blogs of other crazy people who had tried this tour. We planned to carry all our kit with us so finding the lightest possible was key. The other aim we had was to get fit and Les certainly did his best with his one to one personal training sessions - "You can, You can!." We arrived in Canada at the end of May. 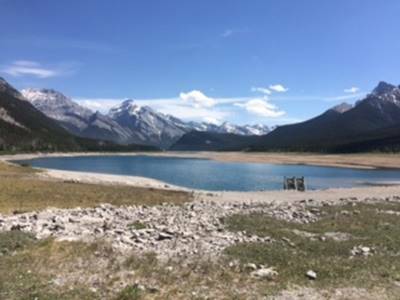 We set off cycling in Banff on the 6th of June. 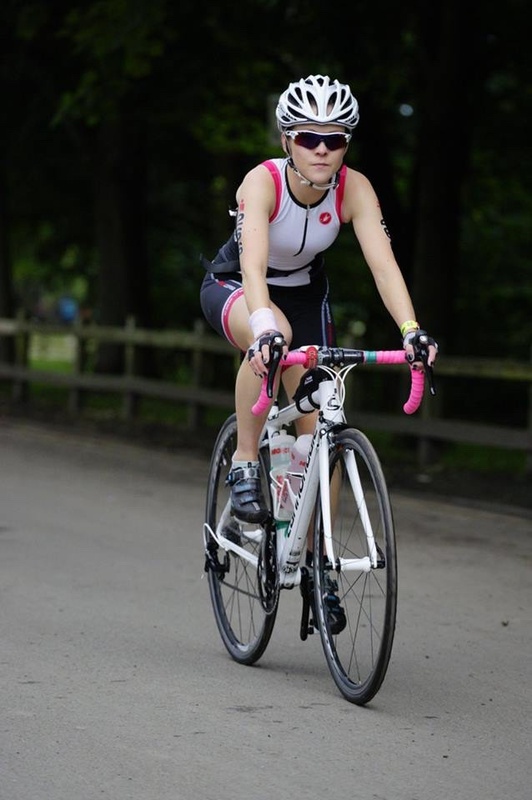 My bike was literally wobbling with the sheer weight of my kit which was slightly nerve wracking. We rode into town and stopped at the YMCA for our last "proper" coffee. We wobbled off towards the off road route alongside the Fairmont Springs hotel - the start of the tour divide. After only 20 yards a couple stopped us and told us there was a bear up ahead about 100 metres away. Great!! I thought as My heart jumped into my mouth - did it have to happen so soon! With a sudden adrenaline rush we cycled off singing loudly and blowing whistles - we even managed to do this going up a short sharp incline on fire track. All I could think was I'm struggling to breathe but I've got to keep going as otherwise we could be bear fodder!! What followed was a very enjoyable but challenging tour where we saw beautiful scenery. We encountered varying weather from snow to heat waves. The peace and quiet was overwhelming - no rushing about, no work and no cars! The camping and the isolation was perhaps the two toughest elements of this ride - neither of us appreciated just how big Canada and the USA was and how far apart the small towns were. One day we cycled over 60 miles with our rubbish until we found a bin!! The locals were fantastic and truly interested in our journey (and Brexit). They thought we were crazy as they knew the perils. We experienced true human kindness from several people - free food and someone drove a 35 mile round trip to fix a bike wheel. We also faced real challenges - such as near hypothermia during our first crossing of the continental divide called Red Meadow Pass. 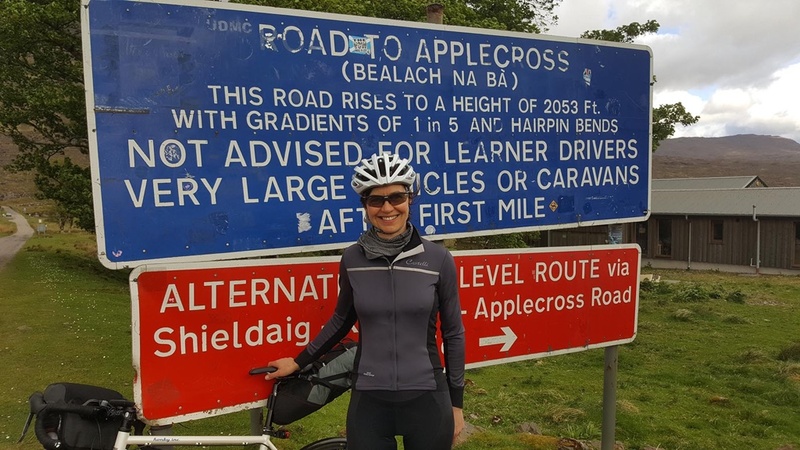 We had already cycled 30 miles in the rain and then started to climb the pass itself - we realised there was snow on the ground and then the rain turned to snow and it became a snow blizzard. At the top Libby had a puncture and we were both too cold to change it. We were saved by two Danish racers who were simply our guardian angels. It showed us how vulnerable we were and how easily things could go wrong no matter how well you plan a journey. 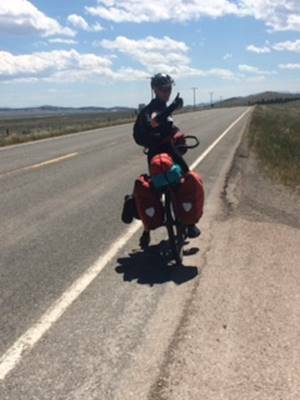 Despite our brush with death we cycled down the state of Montana and finished at Yellowstone Park. We both agreed to call it a day. Physically we were ok but the isolation and camping started to turn our journey into a slog as opposed to an enjoyable experience. 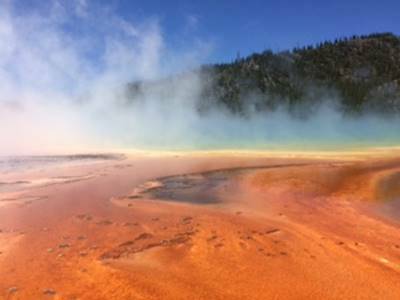 We picked up a car and explored Yellowstone and Zion national parks. We also drove through Idaho, Utah, Nevada and Arizona - manage to visit Las Vegas (never again) before leaving the USA via Phoenix. 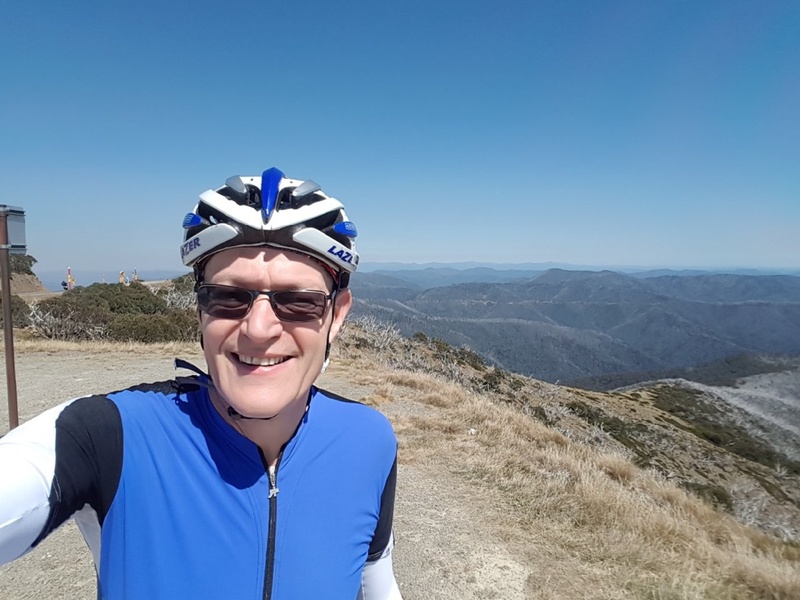 I am incredibly flattered to be asked to contribute to the member's achievements page - not really considering what I did to be anything other than a lovely holiday on my bike to celebrate my ahemtieth birthday! 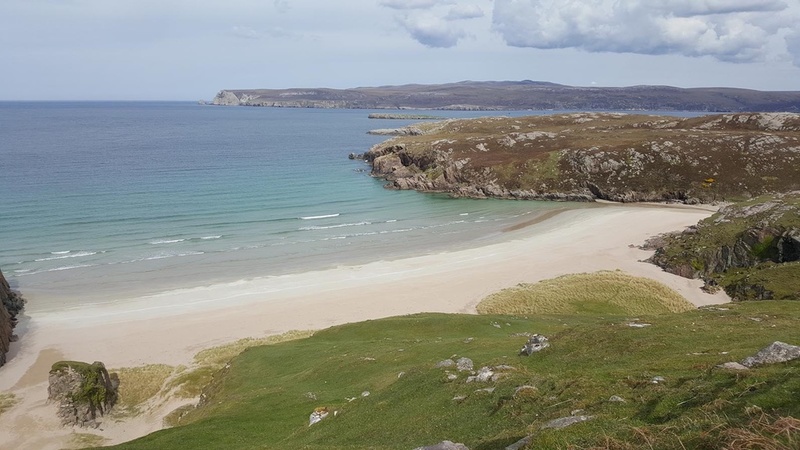 I grew up on the Isle of Skye and the highlands are definitely in my bones. 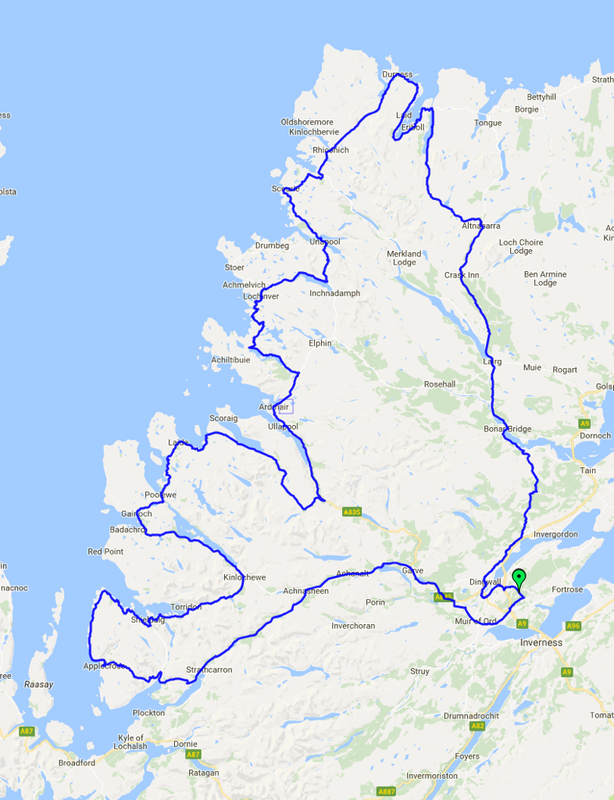 When the North Coast 500 route was advertised last year, it really sparked something in me and I decided I had to ride it, or a variation of it - in my case, the NC400 (we cut out the busy, and not very interesting east coast section). 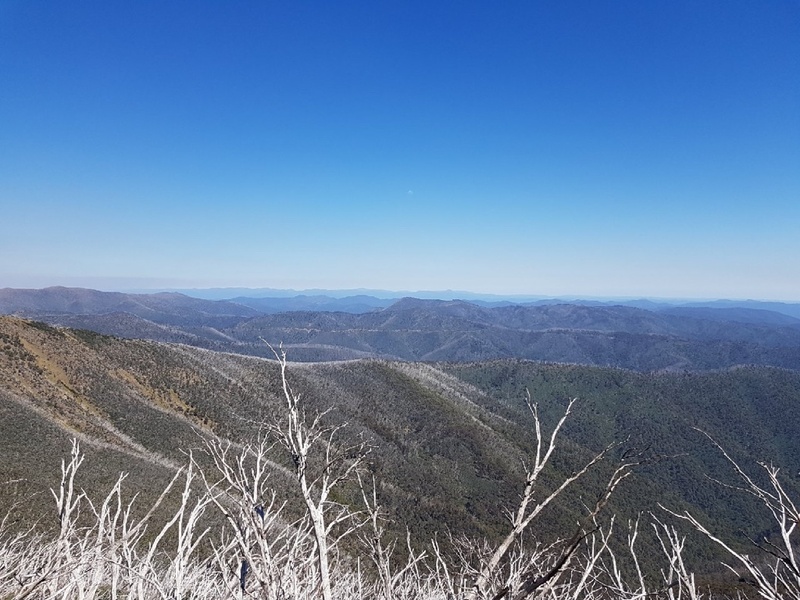 Most of the work went into the planning - deciding on the route, finding accommodation, considering what luggage to take and the weight implications, looking for places to stop for coffee, etc. then putting the miles in on the bike and sweating it out at Les' spinning sessions every Wednesday! 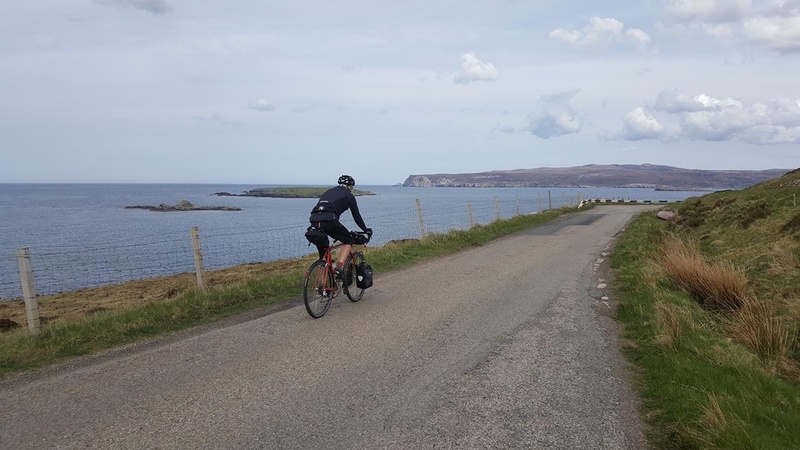 Once on the ride, it was very much a case of one pedal goes up, the other pedal goes down, whilst soaking up the huge skies and stunning scenery. 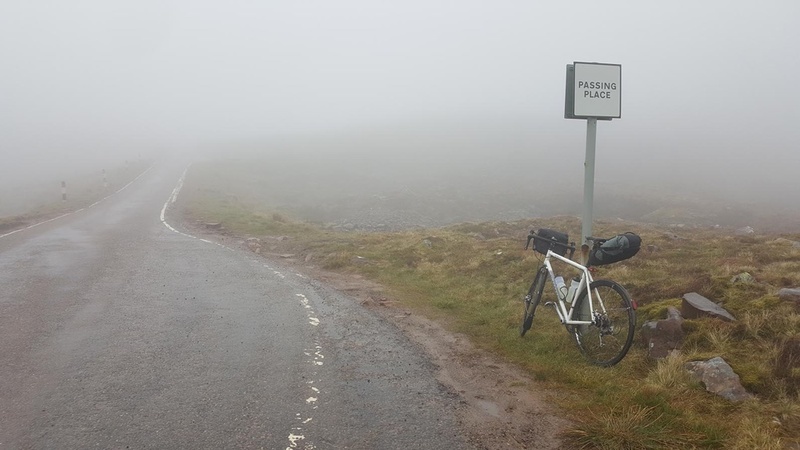 I think the highlight (and possibly also the low point) was Bealach na ba. 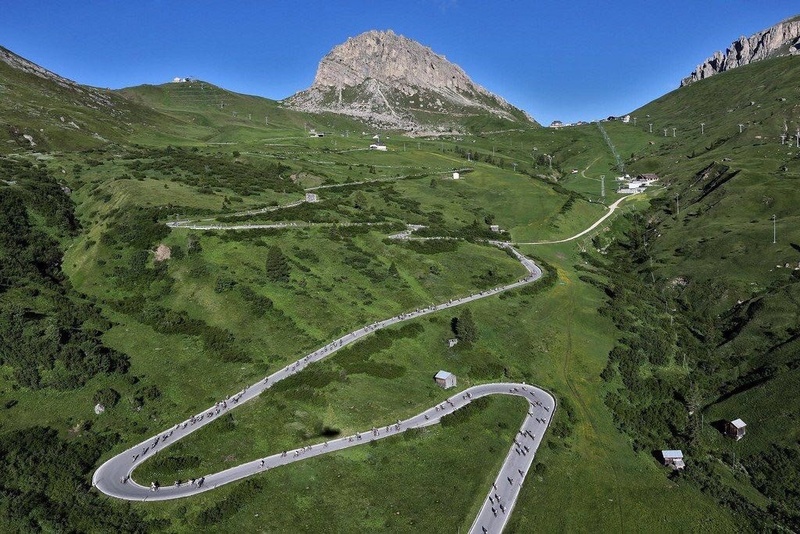 It's definitely what I had thought about the most in the run up to the trip with its rating of 11/10 in the book of 100 greatest cycling climbs. We woke the morning of the climb to a sunny sky, but gusting winds. 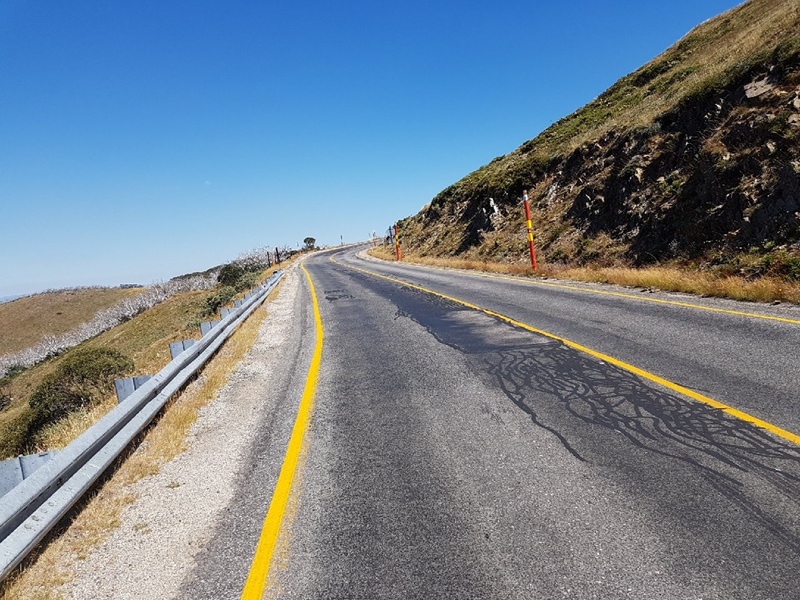 I won't lie - it was a hard climb - but trying not to be blown into the crash barriers by the wind, and constantly stopping to let cars past and then clipping back in on an incline (never my forte) was enough to distract me from the physical challenge. By the time we reached the top, however, the rain had set in and we were above the clouds. No view to speak of but I had done it! Turns out that I had spent so long worrying about the climb, I hadn't until that moment considered the descent. It was now unbelievably windy and I was scared. We started to ride down but with no protection from the side of the mountain, I was blown off the road - several times. I felt like quitting and ordering a taxi, but (1) they weren't an option, and (2) even if they were, I'd never have forgiven myself and would have had to go back again to complete the ride in the future. I'm still not entirely sure how I managed to get down to Applecross - I've never been so in need of a whiskey to calm my nerves! However, I'm here to tell the tale, fight another day and already planning my next trip. "It was seriously difficult! 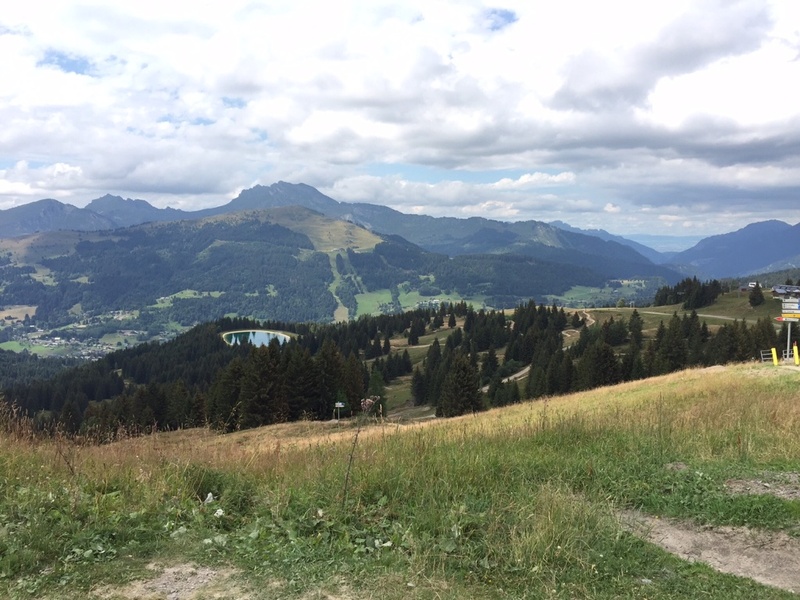 11km of 7-9% gradient in 28 degrees heat! However I had the thoughts of grinding it out in and out of the saddle just like in the Spinning class to help me through!" Well done Joe! What's next?! 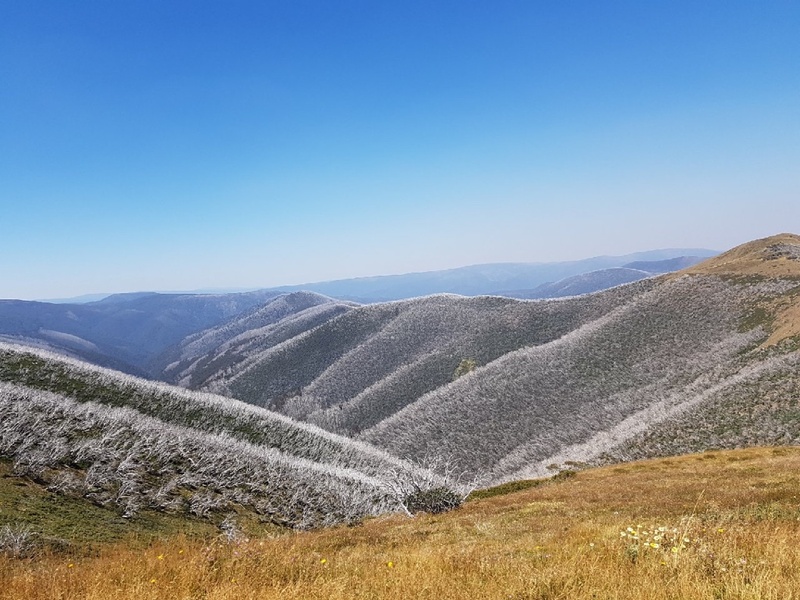 Today I climbed Mt Hotham in Australia. It's 1940 meters above sea level. 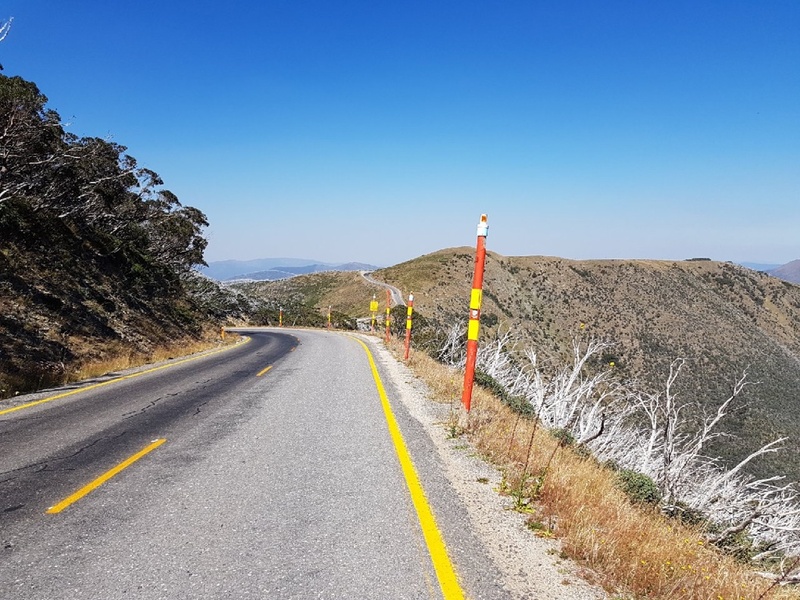 It's the highest paved road in Australia. 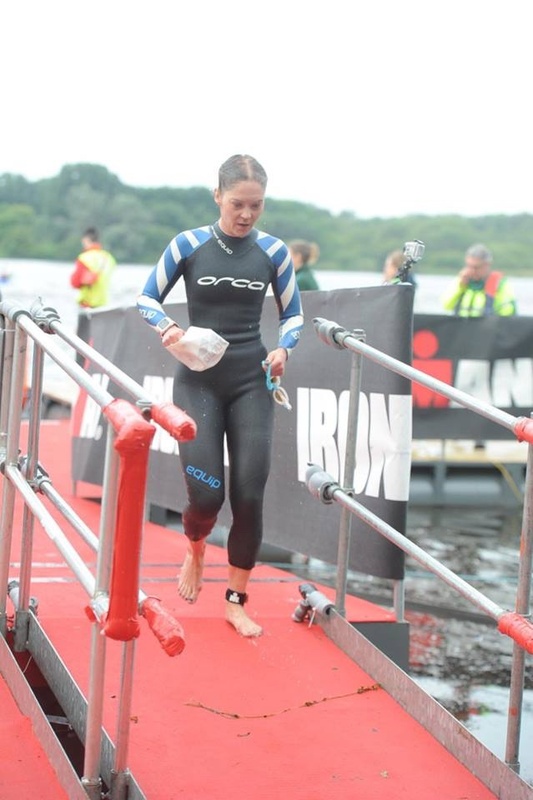 Without your support and encouragement I would not have been able to do it. 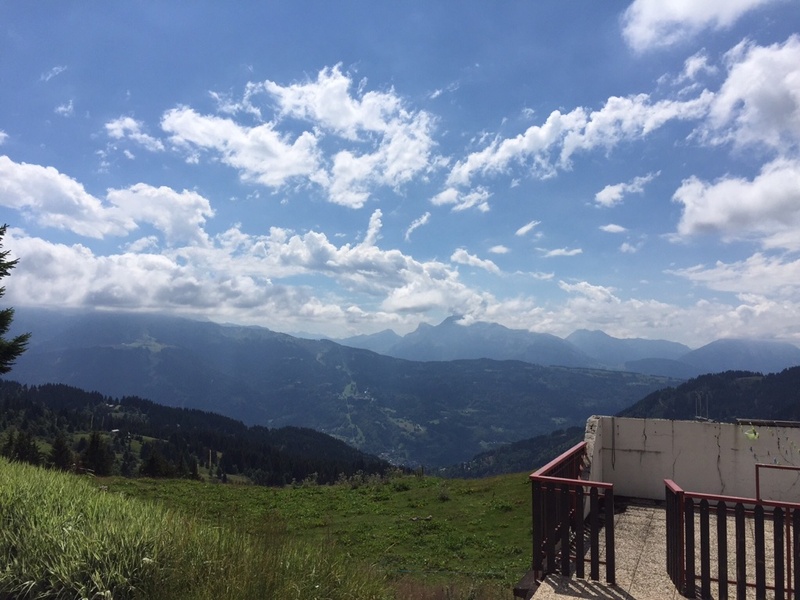 Here are the details and a few amazing pictures from Treve’s adventure.